formerly known as Mystery Skype because you can also use Google Hangouts too. When I first heard about Mystery Skype calls I was intrigued. What a great idea to connect two classes in different parts of the country or world. My Social Studies background had me envisioning the use of a big map as the children asked location questions. 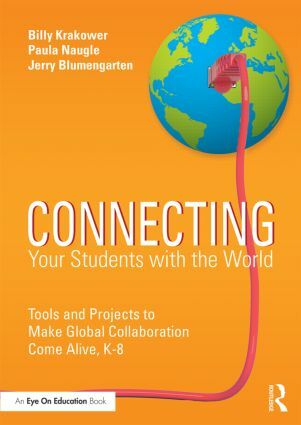 What a great way to learn about different places in the world and connect with other students. I have been honored to be a Mystery Location participant where students and teachers had to guess where I was located. I try to throw some curveballs their way by saying my state has two time zones or we have "a republic" in the southernmost portion of our state. 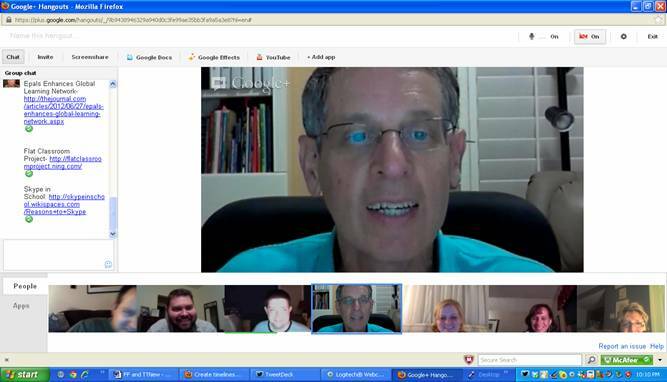 Below is a picture of the Google Hangout group I have been a part of for a couple of years. We hangout regularly and some of the best Mystery Location mavens are among us. Try to have several clocks in the classroom showing different time zones.